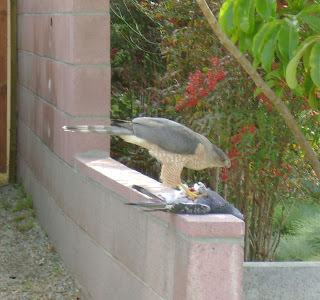 As I was about to start my car, I noticed this hawk dining on a pigeon right on the wall of my yard. 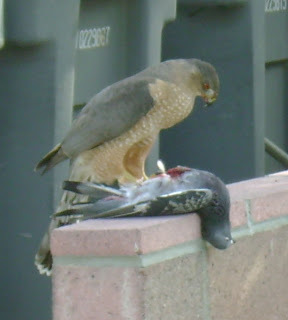 Above him (out of view) was a crow, harrassing him. 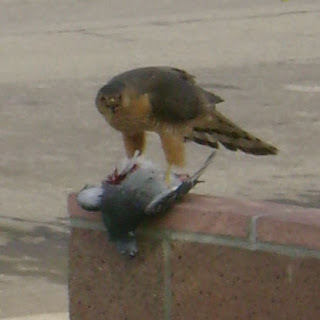 He seemed completely unbothered by the crow or me, so I snapped several pictures. He didn't leave until a man rode by him on his bike - I caught a magnificent view of his powerful legs and talons as he flew off with his prey - remarkable. 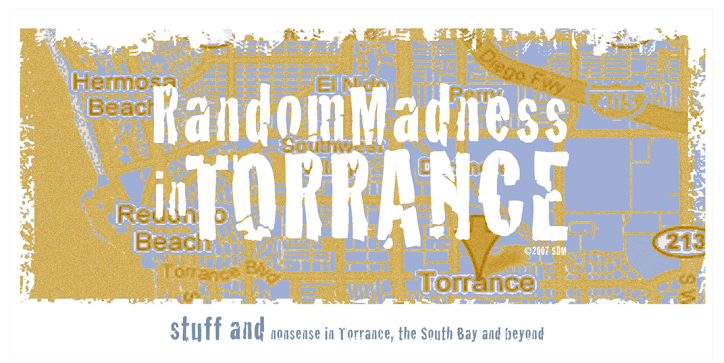 Whoa, Wild Kingdom, Torrance style! There's an album cover there in one of those pics.